IT'S VALENTINE'S DAY INSPIRATION WEEK! 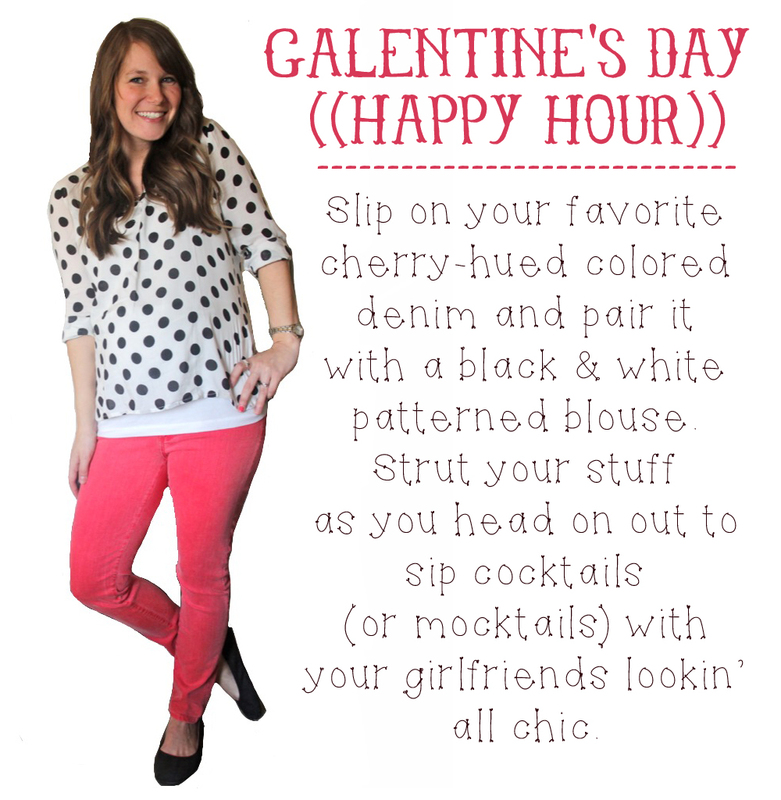 All this week, I'll have fun tutorials, outfits, and recipes for you to get ready for Valentine's Day. Miss yesterday? Here's a link to the heart-shaped marquee light DIY. Also, scroll down to the previous ((bonus)) post see an adorable Valentine's Day themed manicure. 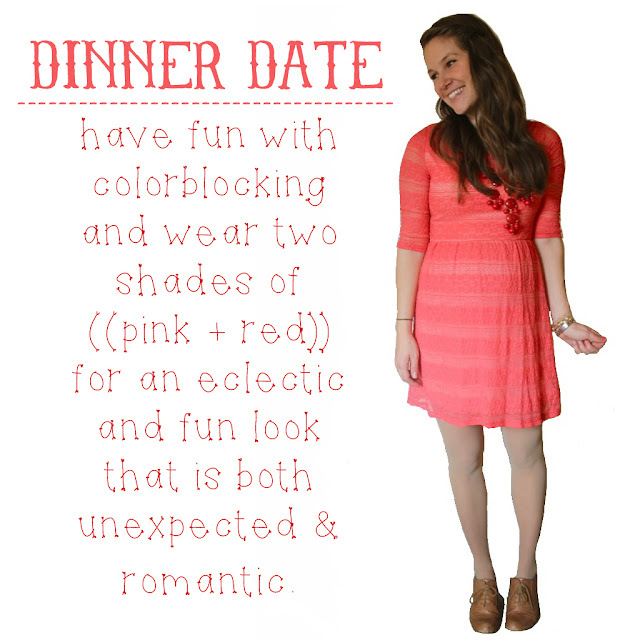 Whether you have a significant other or not, Valentine's Day is the perfect excuse to wear feminine hues of pink & red and get out of the house on a weeknight. I've come up with four simple outfits that are hopefully a breeze to pull together with items from your own wardrobe. 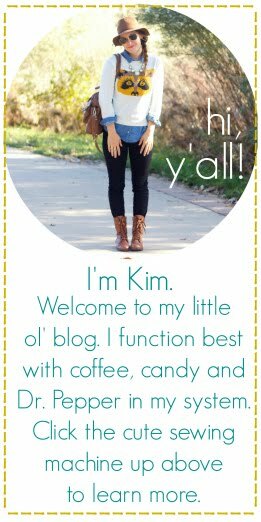 If I can make these outfits work with a 30 week baby bump ((the only maternity items used were the layering tank and my skinny jeans)), I KNOW you can find something in your closet to create a fun Valentine's outfit. Think outside the box and have fun! You are the cutest. Thanks for the outfit inspiration! I love these looks! What great ideas for outfits! #2 rocks but I love #1's shoes! Great smile too! You are the cutest! Have a wonderful Tuesday! These are adorable! I hope I dress that cute when I am pregnant! 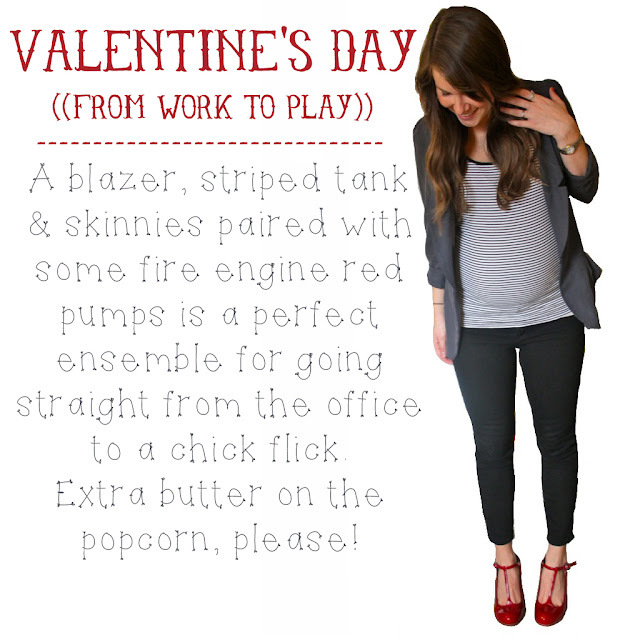 I am loving Valentine's week–and seriously, why don't I own a pair of red heels?! 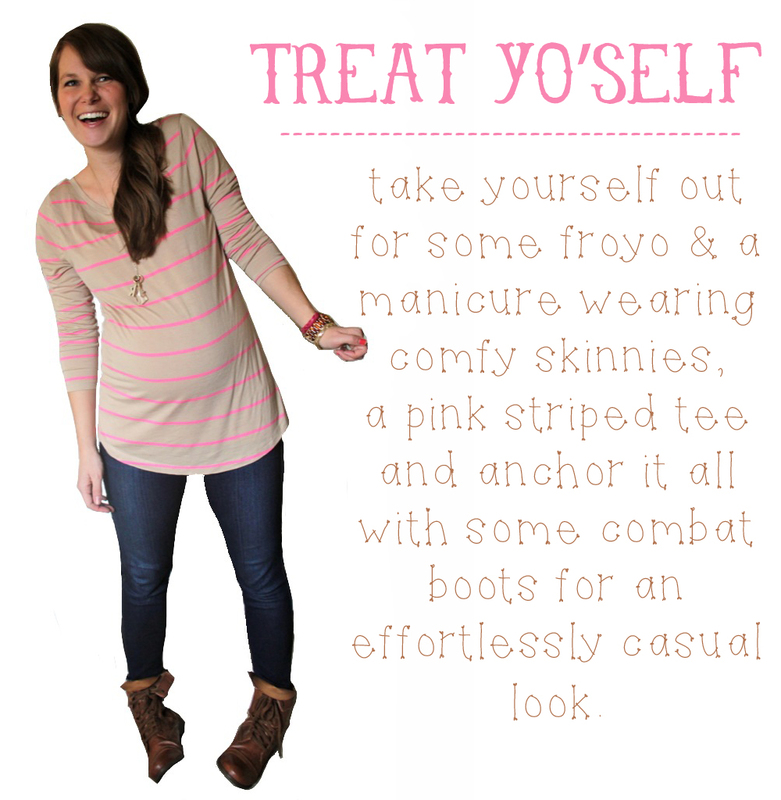 Loving the treat yo'self! Looking forward to the rest of the Valentine's inspiration, I just bought some burlap ribbon and felt for some easy decor that's toddler proof!